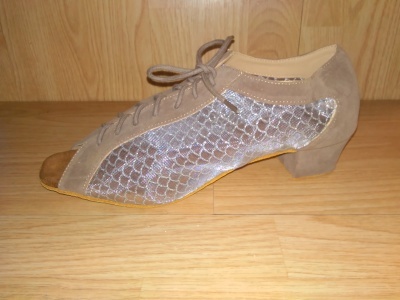 ​This shoe style is very popular for their comfort. 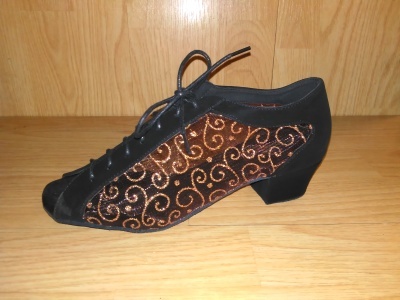 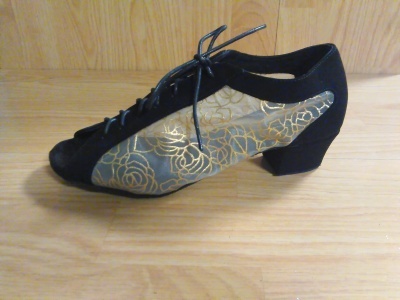 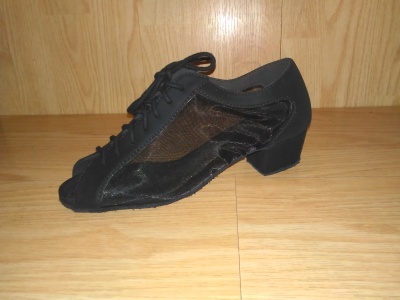 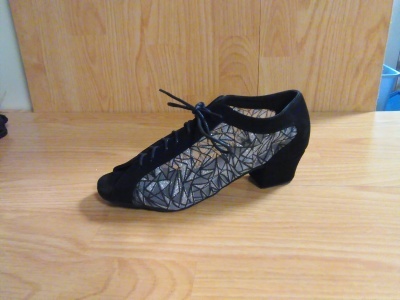 They are often used as practice shoes but also go great with dress pants, jeans, stretch pants and even more upscale attire for a very comfortable evening of dancing. 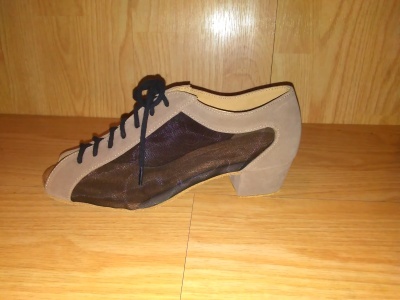 They now come in many different nubuck colors and mesh colors that creates quite a variety of looks for this one style of shoe. 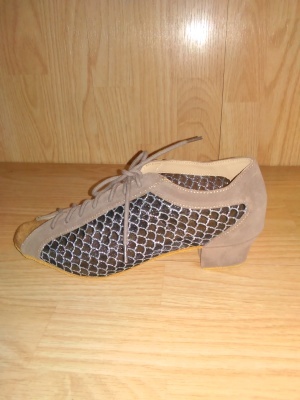 They are nubuck leather and mesh of a variety of colors. 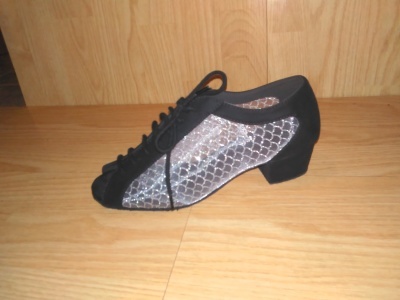 The mesh conforms easily to the shape of your foot and are laces up and easily adjustable to fit your foot. 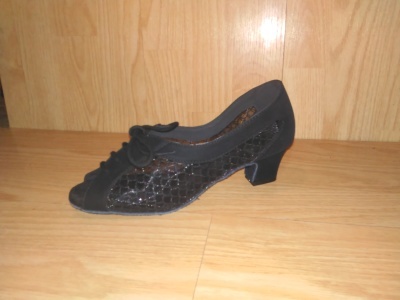 Most of these shoes come with Type A heel which is low and has a lot of surface area to contact the floor for better balance. 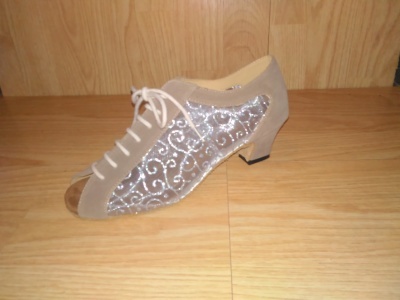 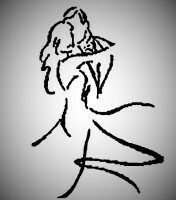 A few come with a slightly higher heel with less area contacting the floor. 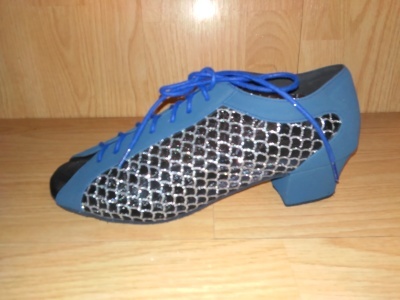 That style is style B and will be noted in description. 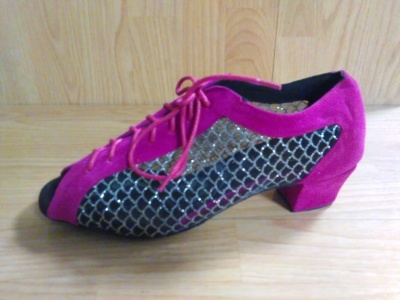 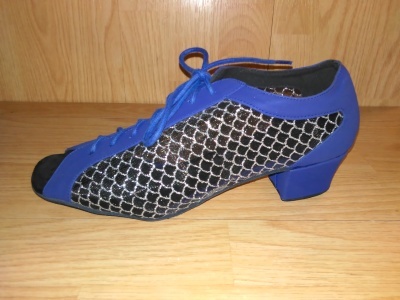 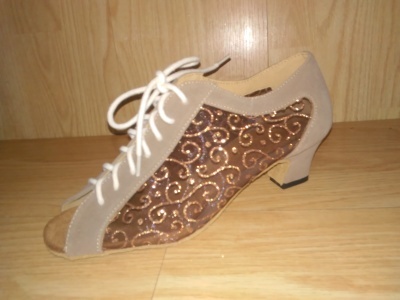 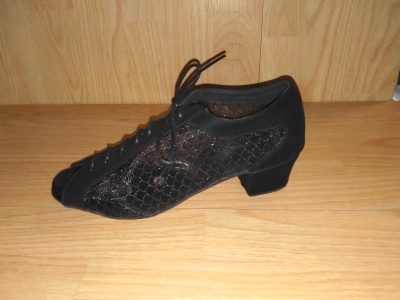 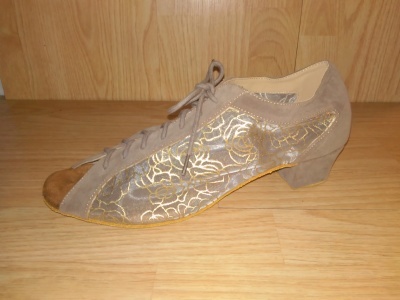 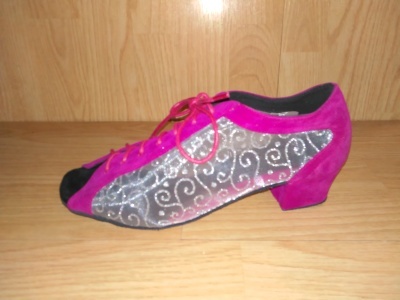 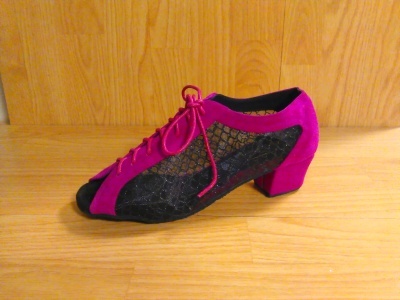 These are great practice shoes and come in many varieties of colors to match any outfit.